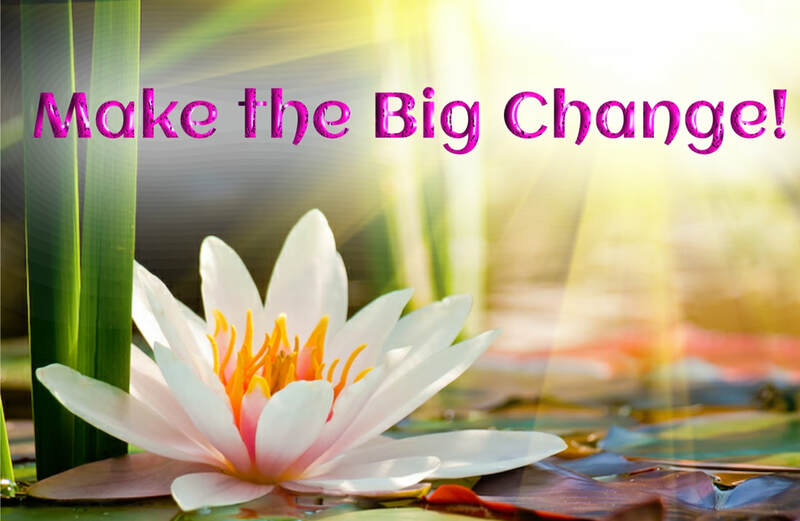 Make the Big Change Program - The Time of Light Psychic Readings, Zorica Gojkovic, Ph.D. If your heart has been yearning for something for a long time and you've not been able to create it no matter how hard you tried, this program is for you. We all have soul yearnings. Some of us move effortlessly and fulfill them. Many of us are unable to do so. Our childhood programming and beliefs stand in the way. As you know, my sessions are about identifying all energies in the way of the expression of your divine nature. In the program we will identify all energies of the limited childhood programming self. Simultaneously, we will identify and strengthen your soul potential and soul truth. By gently, systematically and organically dismantling your limited human-made identity, we will slowly move into identity as a divine being in a universe of boundless potential. We will arrive at a place where you live your soul truth and your soul potential. This is the place where you are most fulfilled; you live on the earth as your true self with your authentic power, exuberance and joy. In this place you are also in the best possible position to evolve as a soul. Remember, your yearnings, desires, dreams are your soul calling you to your greatest expression and fulfillment. Answer the call. Don't withhold from yourself peace and fulfillment. Allow yourself to receive the joy of living your soul truth. The program is 12 weeks. After 12 weeks, you can renew for another 12 weeks. We work one-on-one using Skype Video. We start of with a 1.5 hr psychic reading. Every week you email me with an update and I respond. Then every two weeks we have a 1 hr session. We systematically change energies,dismantling the old and introducing the new. As we change one layer of energy, another layer will arise. We will change that. This is the process until all energies in the way have been cleared. At that point, we move with most of the focus on creating what you desire with specific action steps. We move forward in this way until you have achieved your desired result, have decided you no longer want it, or have identified another preferred result. Required reading: The Workings of Energy in the Human Energy Field: A Psychic's Perspective. $1200 for 12 weeks if paid in full. Non-refundable. $1300 if paid by the month. $500 for the first month and $400 next two months. Each month is non-refundable.